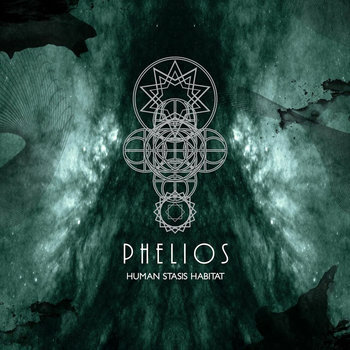 After 2 outstanding CDs on Malignant Records, Martin Stürtzer returns with his new PHELIOS album ´Human Stasis Habitat´. Its predecessors opened the gates to a transcendent journey with huge sound walls of cosmic doom and ritualistic percussion; the new album moves deeper to the core from which the monolithic audio sculptures of PHELIOS rise. ´Human Stasis Habitat´ is a constant maelstrom of sound waves utilising majestic and ominous dronescaping, underlaid by intense bass tones and loaded with echoes. These add a vast emptiness to the textural darkness, enlarging its stoically cosmic aura in the most splendid way. It is the perfect soundtrack for an aural journey far beyond the Earth and our imagination, into the deepest spaces where the dark is light enough.